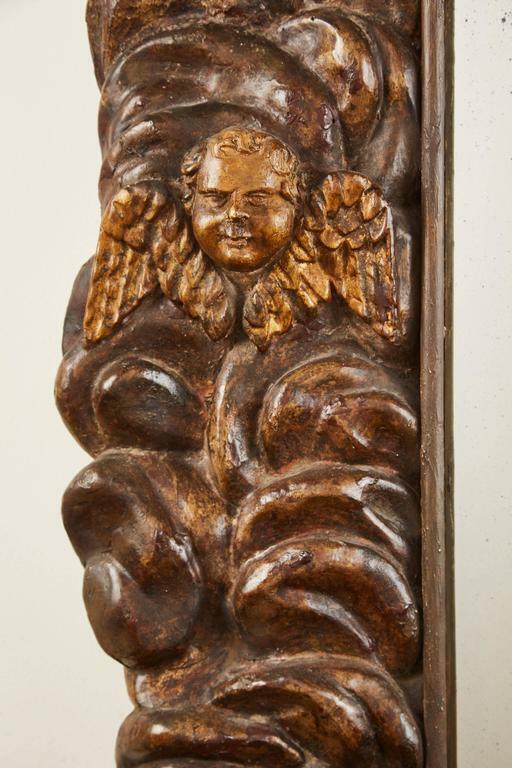 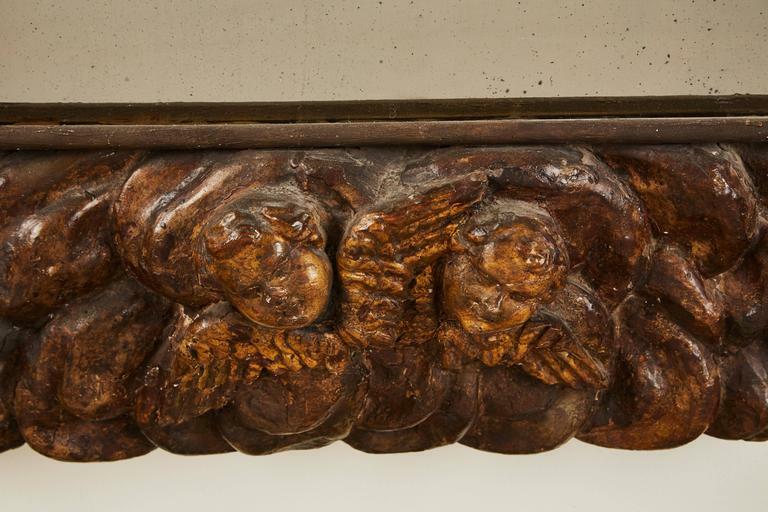 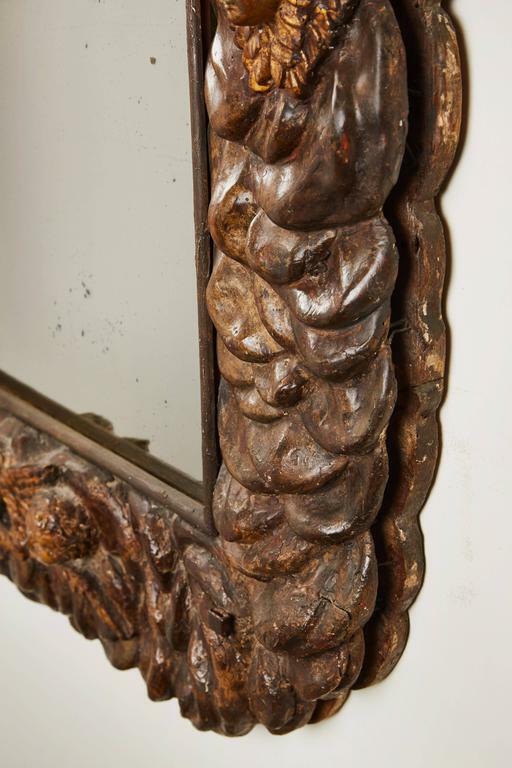 An extraordinary carved Italian polychrome mirror. 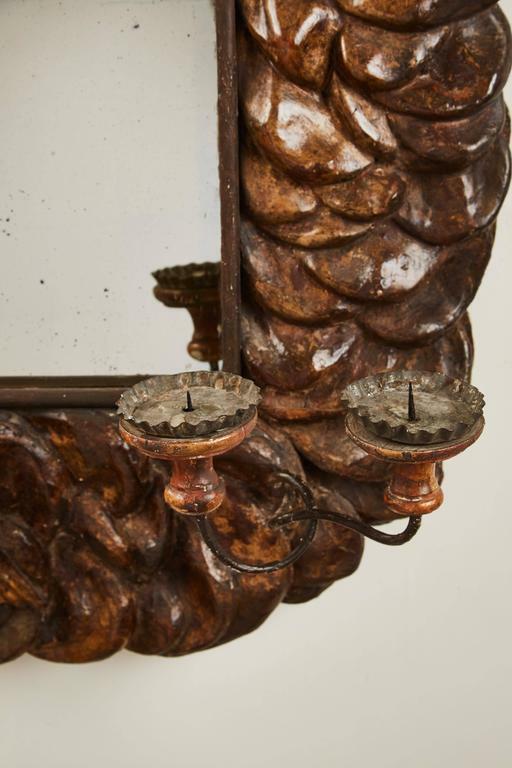 Original candleholders can be removed as depicted in the picture. 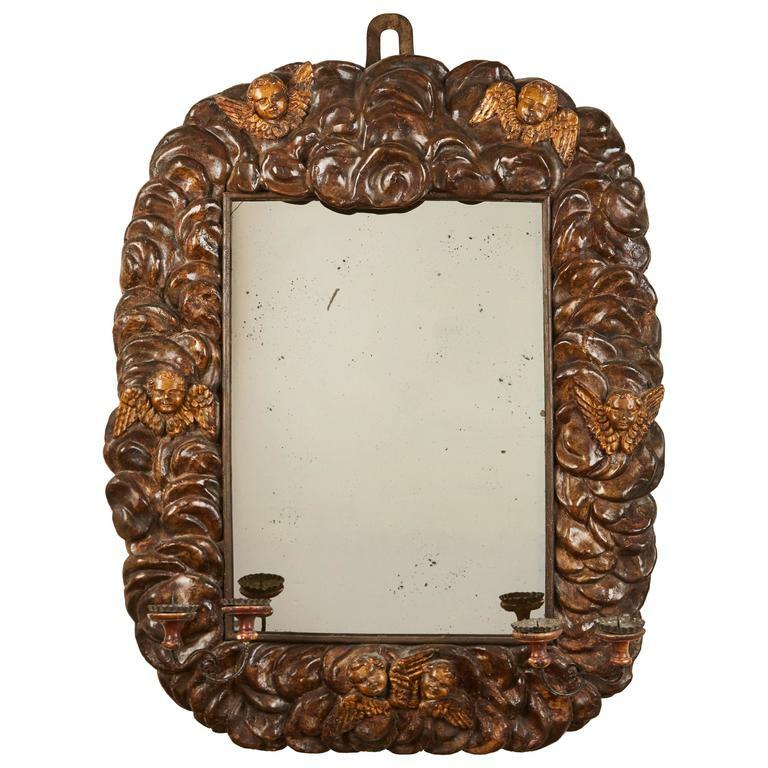 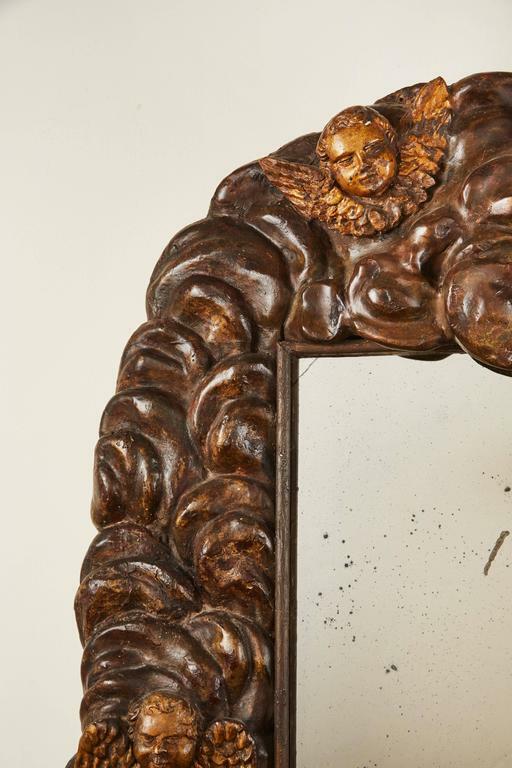 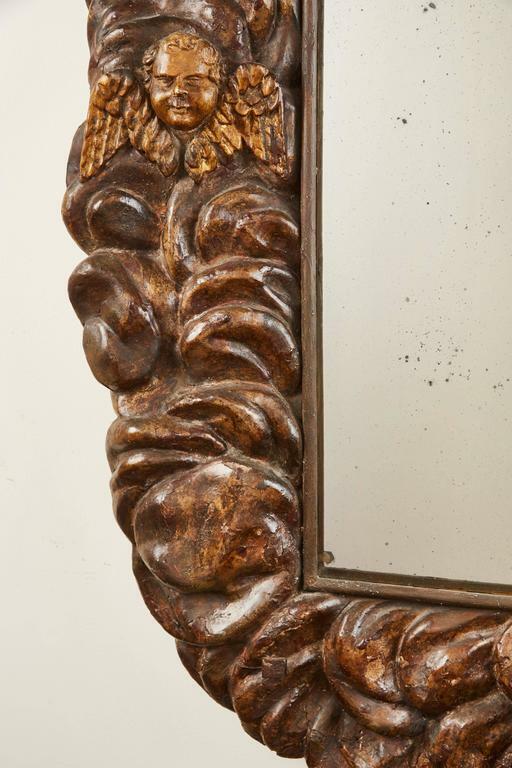 A late 17th century Italian mirror, most likely from the Lombardy area. 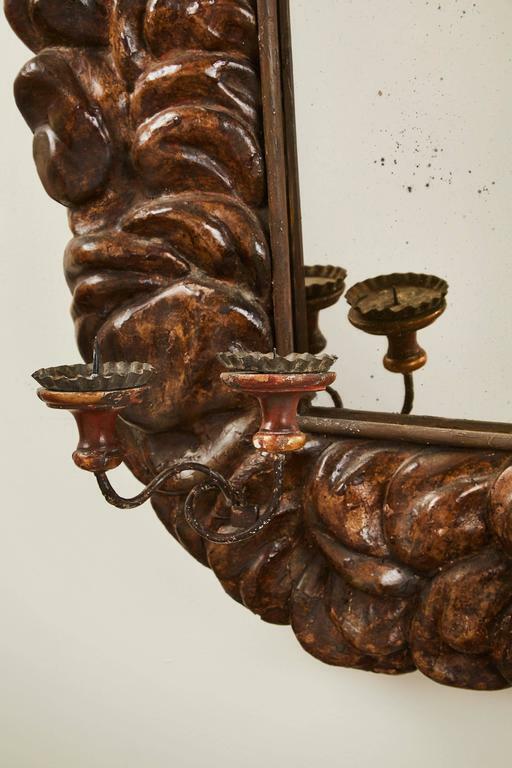 The central mirror was added around the turn of the late 19th century. 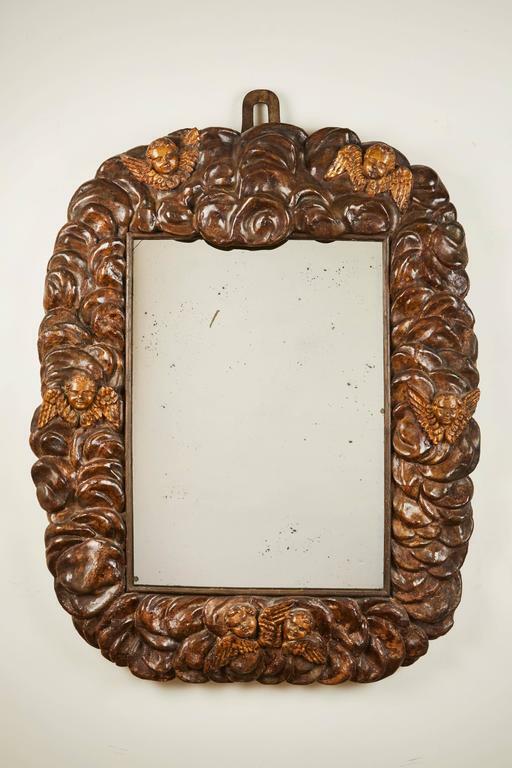 A beautiful example of a Baroque period frame. 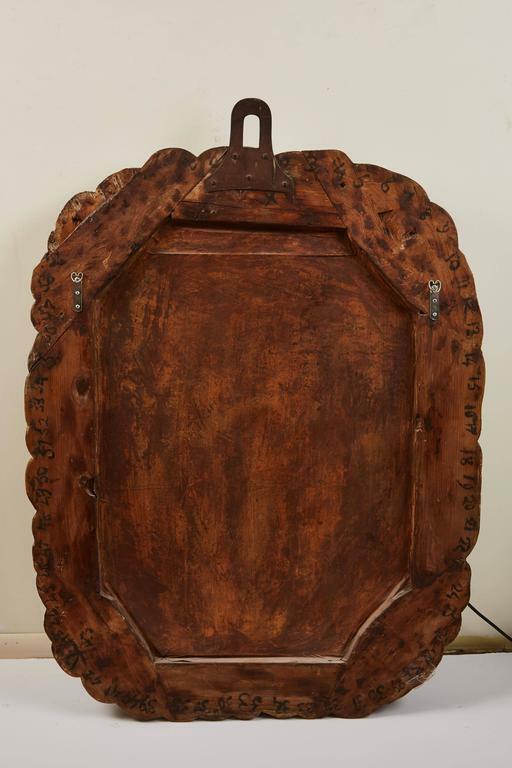 Width 2 ft. 9 in.